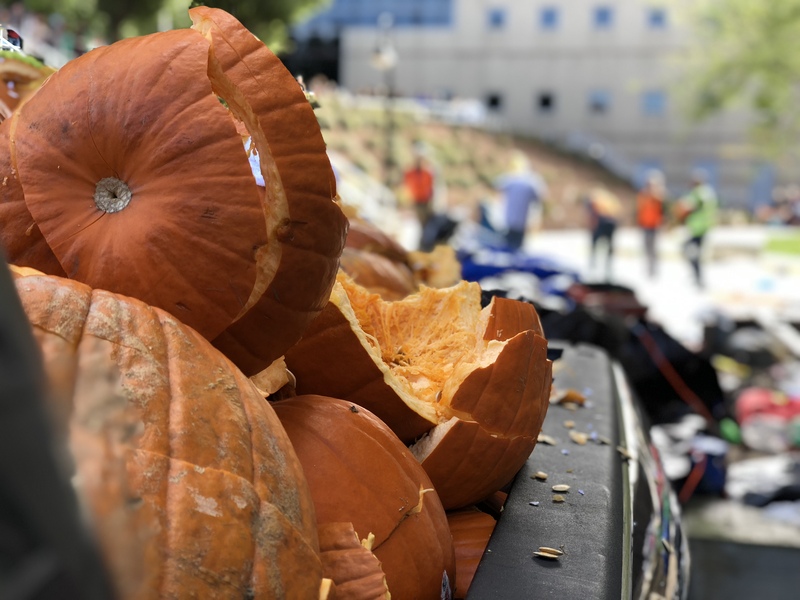 One of 355 pumpkins that survived the 11-story fall in the annual Pumpkin Drop. 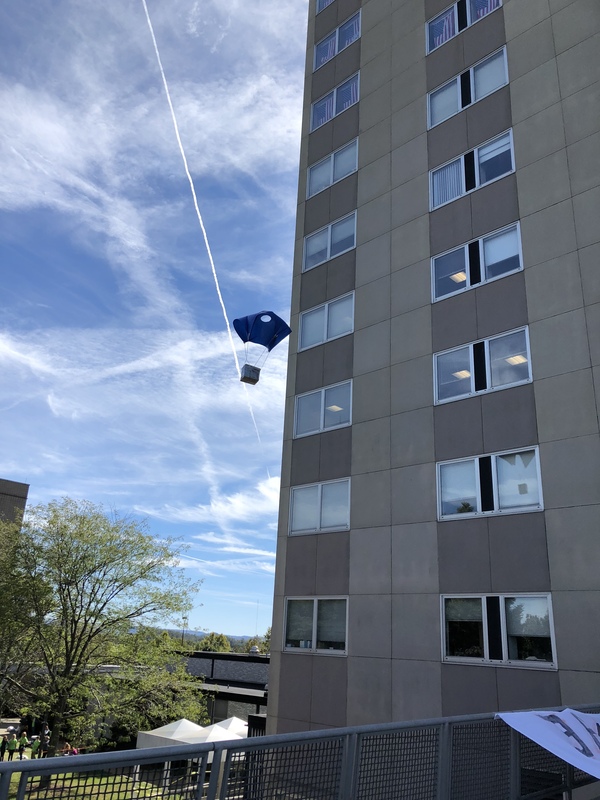 On a day that saw 355 pumpkins survive the 11-story drop from atop West Virginia University’s Engineering Sciences Building, it was team 314 from South Middle School in Morgantown that took top honors in the 31st Annual Pumpkin Drop. Their pumpkin landed just one-foot from the target, earning them the $100 first prize. Team 35 from Saint Francis Central Catholic in Morgantown finished second, landing its pumpkin one-foot, 11-inches from the target. They were awarded a check for $50. Team 127 from Tyler Consolidated High School in Sistersville finished third, with their pumpkin landing two-feet, 5-inches from the target. The team was awarded $25. 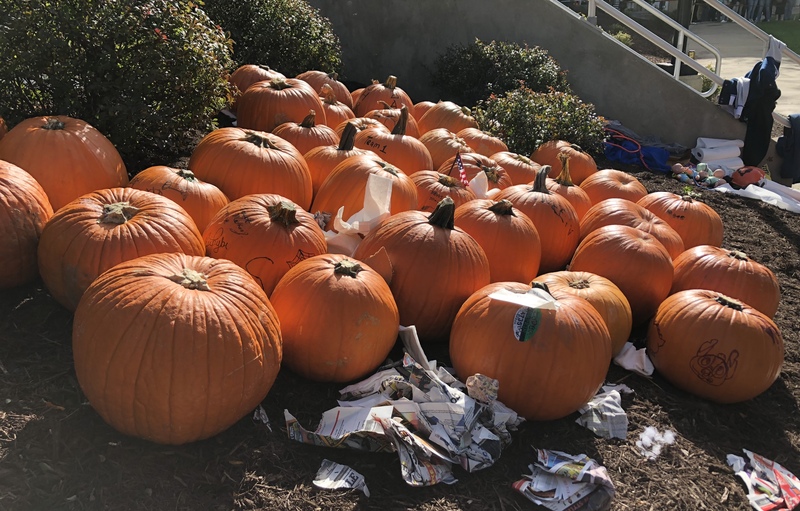 Teams from West Virginia, Pennsylvania and Texas competed in the event, which aims to teach engineering concepts by designing an enclosure to protect the pumpkin from damage when dropped from the roof of the building. The Pumpkin Drop was sponsored by the American Society of Mechanical Engineers chapter at WVU. Proceeds benefit the Ronald McDonald House in Morgantown. Since 2011, the chapter has donated more than $37,000 to the organization. 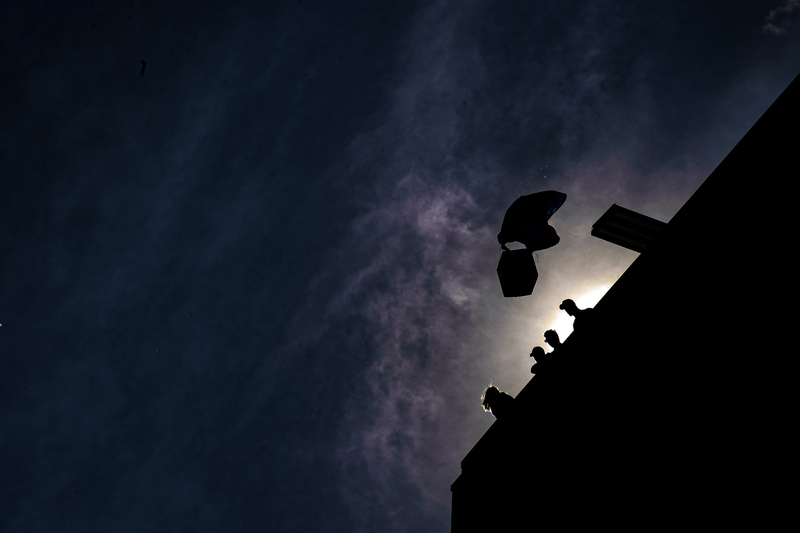 A WVU Pumpkin Drop team is silhouetted during the competition. Not all the pumpkins survived the fall. 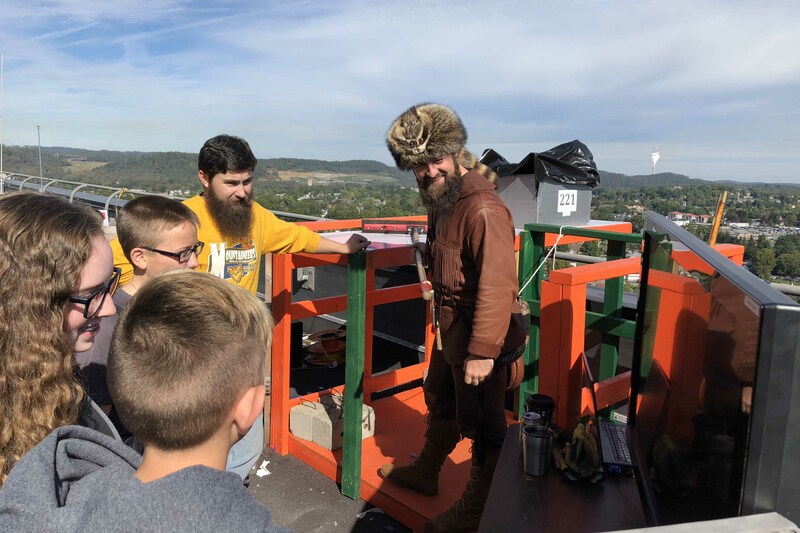 Mountaineer Trevor Kiess helped out with the annual WVU Pumpkin Drop.